This feather-light luxury moisturising facial gel absorbs effortlessly into the skin to offer all-day hydration, keeping it supple and radiant. Non-sticky light and creamy formulation. 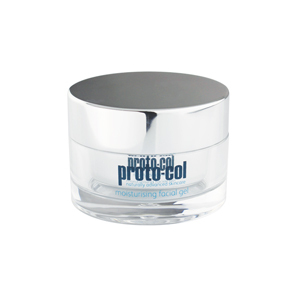 Contains plant-derived collagen to nourish skin and plump fine lines and wrinkles. Can be used as a day or night cream. * We now have two different designs for the 50ml facial gel. Choose the men's option if you would like the traditional silver pump or the ladies option if you want the new style glass jar. The fragrance of kiwi and guava dissolves on contact with the skin (a good test for a natural fruit extract) and so will not conflict with perfumes or deodorants. This vitamin-rich facial gel is a natural plant-based formula of collagen, aloe vera, royal jelly, vitamins A, C, D and E and hydrolysed silk protein. Fresh royal jelly is one of the most powerful natural antioxidants containing vitamins and nutrients, it can help regenerate skin cells and keep skin looking glowing and healthy. 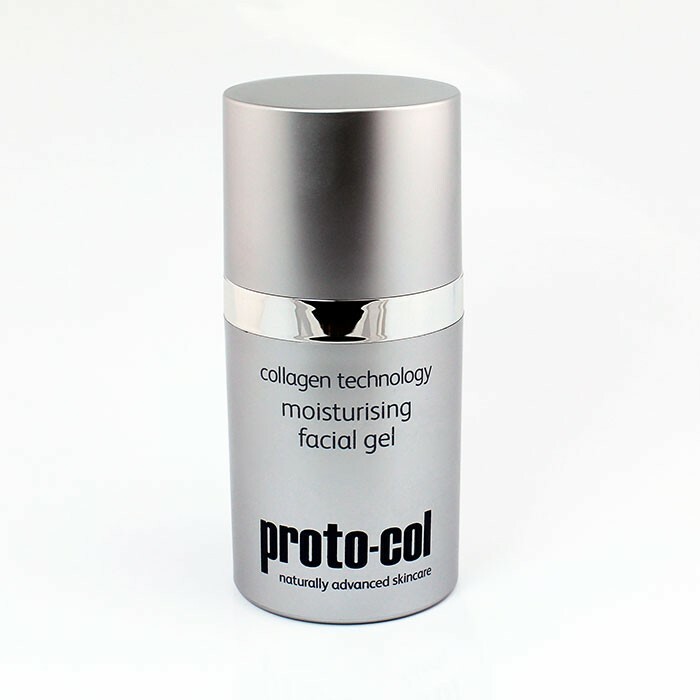 proto-col moisturing facial gel contains plant-derived collagen which nourishes skin and plumps fine lines and wrinkles, while vitamin A is a powerful ingredient that stimulates the skin. Hydrolysed silk is absorbed by the skin and improves moisture balance, suppleness and elasticity whilst imparting a silky, smooth feel. With added vitamins C, D and E this is a truly luxurious product.